Rajkumar Hirani’s movies always have a clear message embedded within entertainment that comes through satire on daily routine Indian life. So, I was wondering what is his message this time with his latest release Sanju, which as we all know is biography of Sanjay Dutt. Film begins its narrative with the help of a writer (Anushka Sharma) - the third person who our protagonist speaks his heart out, to prove that he is innocent and this innocence echoes throughout the film as a crystal-clear message. Narrative comprises series of events and occurrences from Sanjay Dutt’s life. Rajkumar Hirani does a fine job of keeping the screenplay at an average pace without complicating it while keeping the key message that Sanjay Dutt is a good man obvious in every way possible and this way of writing is staple of Mr. Hirani. Screenplay does seem to take creative liberties which is normal with Bollywood biopics, Dangal being the perfect example where last act was completely not true. 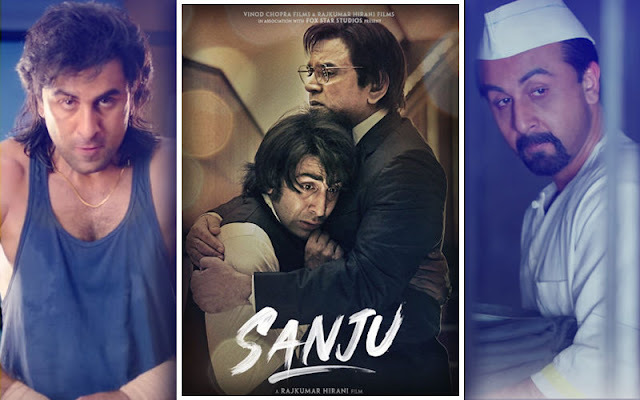 So, I am really not sure how much fiction has been used here to convince audience that Sanjay Dutt is a good man despite of all what we know already, so for me it was more of a feature film than a biopic. Nevertheless, it is still a very well written and entertaining screenplay packed with powerful performances. 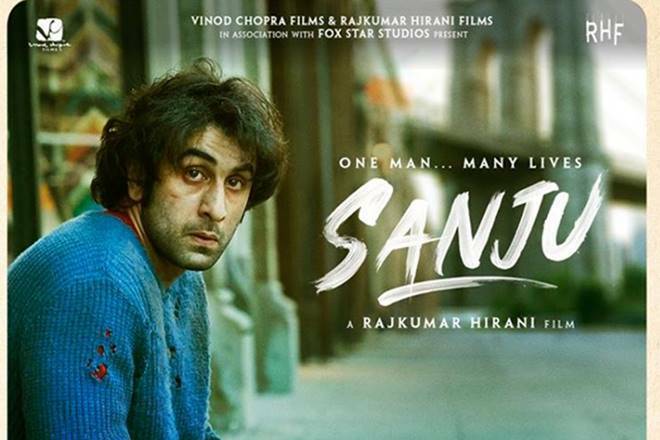 It wouldn't be wrong to say that this is Ranbir Kapoor's best performance till date - not only he is convincing, but he gets into the skin of Sanjay in the best way possible. 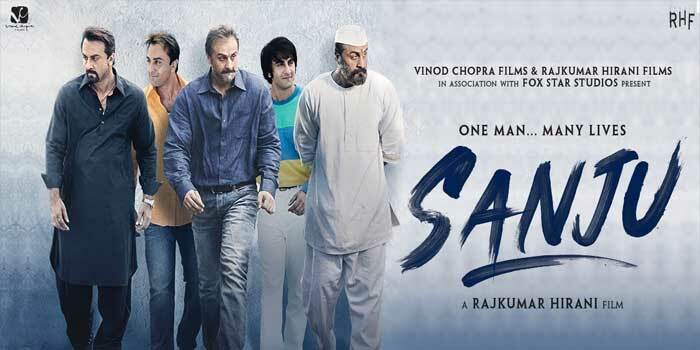 Whether portrayal of dealing with drug addiction, depicting Sanjay Dutt’s different body types all these years or performing an emotional scene he gets it all right and shines in each frame. All best actor awards next year are his for sure. Another strong pillar when it comes to performances is Paresh Rawal as Sunil Dutt. His depth of emotions on screen adds another dimension do the film. His performance is truly par excellence. Vicky Kaushal delivers a laudable performance as friend to Sanjay Dutt. All the female members of the cast including Dia Mirza, Anushka Sharma, Manish Koirala and Sonam Kapoor in a cameo have given their best and it felt so good to see an ace actress like Manisha Koirala back on screen. Boman Irani (lucky mascot of Hirani) was expected to be seen and he is there with his usual grace. Music is appropriate and adds the right Bollywood tadka (flavor) to it. Overall the film delivers well and lives up to the name of Mr. Hirani and expectations of the audience. The only negative aspect and it is my personal opinion that it felt more like a propaganda film rather than a biopic, where audience is slapped with the key message through out which was to clear Sanjay Dutt’s name. However, it is an entertaining experience full of amazing moments and performances and definitely deserves to be seen in cinema, I go with 3.5 stars.